You can add personalization details (if applicable) in the note to seller box at checkout or in your cart. 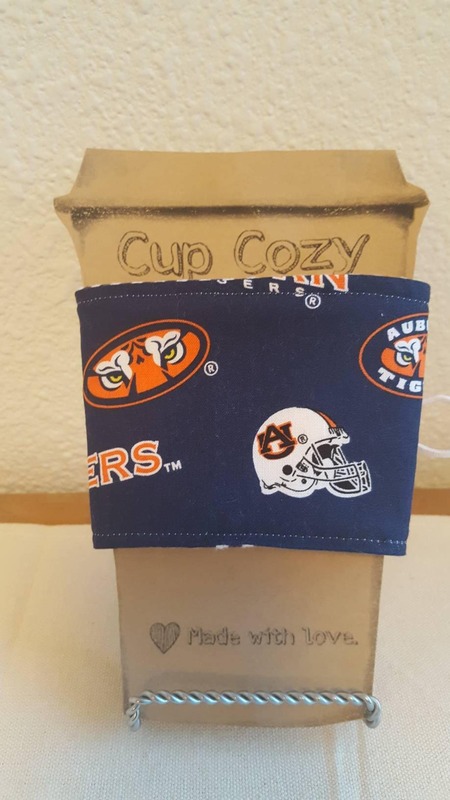 Keep your mugs warm and hands safe with these cute coffee cozies. Also, keep your hands warm when enjoying your favorite iced coffee/latte. They come is different designs, from unicorns to airplanes, you choose. I can custom make any fabric design you like. Cozies pictured are of ones I have made and ready to ship. My coffee cozies are made to fit multiple sized mugs using the two buttons attached. They make perfect gifts for that coffee and tea lover in your life. This item may take some time to prepare. Contact the shop to find out when it will ship. I love love loved this name tag for our stroller! It was great quality, arrived quickly and helped us find our stroller very fast after each ride or meal! Highly recommend! Thank you! Loved the tag! Immediately put it on my travel stroller and it looks amazing! Very cute! Perfect for my Disney Princess loving daughter to carry on her backpack. Fits B&BW hand sanitizer nicely. I love this princess hand sanitizer holder! Goes great with my daughter's Pottery Barn backpack. Thank you!